Google Analytics is a valuable, free service offered by Google. It generates statistics and reports based on the visits to your website. This software allows you to gain a clear understanding of your customer’s behaviour. Most businesses now have an online presence through a website. It is therefore helpful if you study the actions users take while on your site to ensure you are delivering individuals the best results. To set up Google Analytics is fairly straightforward. You will need to create an account. Google will then provide you with a piece of code. This code needs to be copied on to each page of your website. It is, therefore, more efficient to set up this tool while your website is being set up. Google Analytics is an important tool for studying individuals web data and activities. It can also show your business performance, website performance, ad performance, and much more. The tool enables you to analyse data using charts and graphs. This data can then be written up into a report. The report gives you a detailed understanding of the areas of your business which are successful. It will also highlight any improvements that need to be made. Understanding where the traffic to your website is coming from is essential for businesses. With this information, you are able to alter your marketing strategy, to give yourself the most beneficial results. For example, you may find that the majority of your traffic is coming from a certain area. This may be from social media or from a campaign you have run. If you have run an ad campaign, then Google Analytics will allow you access to information. You will be able to see the click-through rates, bounce rates and any conversions that have been made on the call to action you have chosen. Google Analytics can also provide you with information about your website. Useful data can include; duration of a visit on the website, how many pages per user, what landing pages of the site, exit pages, bounce rate, speed of your site. This information is essential for any business owner. You want to ensure customers are receiving a high-quality experience. This information also allows you to see any issues with your website whether that be the design, layout or a technical issue. One of the most useful features of Google Analytics is being able to create custom reports. Metrics and dimensions can be chosen and you are able to decide how you would like them displayed. For example, in the form of a bar graph. By customising your own report, you are able to see specific pieces of information from the data that you wish you look at in detail. Google Analytics can be a very powerful marketing tool when used correctly. It allows you to measure results of campaigns in real-time and compare the data to previous periods. Analytics gives the option to segment users. Segmentation ensures you have a detailed understanding of their demographic, geographic and psychographic profile. 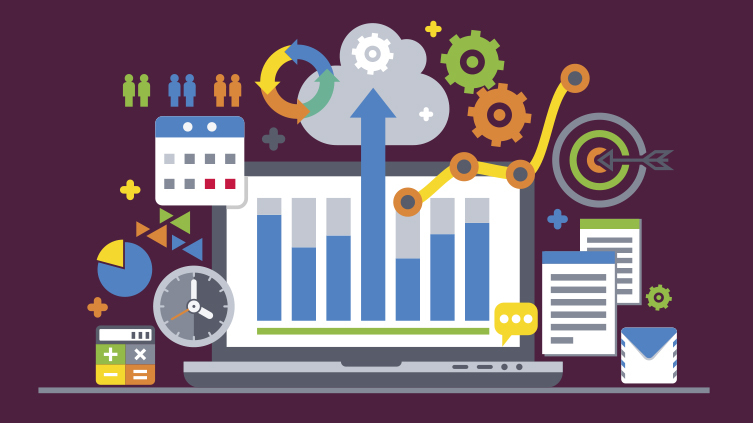 Got any questions about Analytics and how it might improve your website performance? Speak to Blackberry Design to see what we could do for your business. Get in touch on 01527 517309 or fill in our contact form.